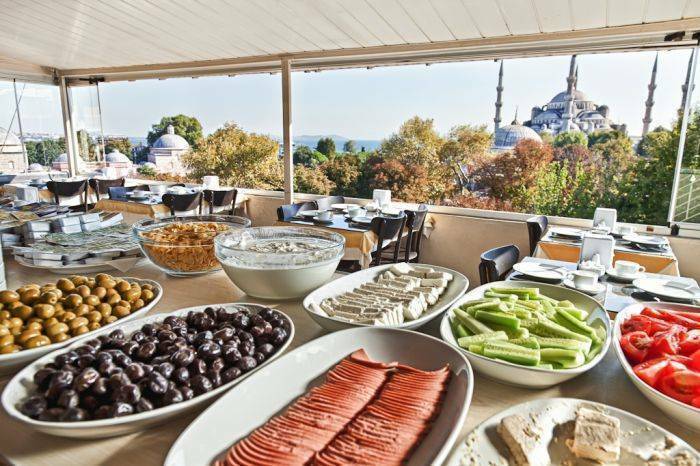 Enjoying an excellent location in the very heart of touristic place and the old city area, called Sultanahmet, the Star Holiday Hotel faces both the famous and inspired, Blue Mosque and Santa Sofia (Haghia Sophia) museum. 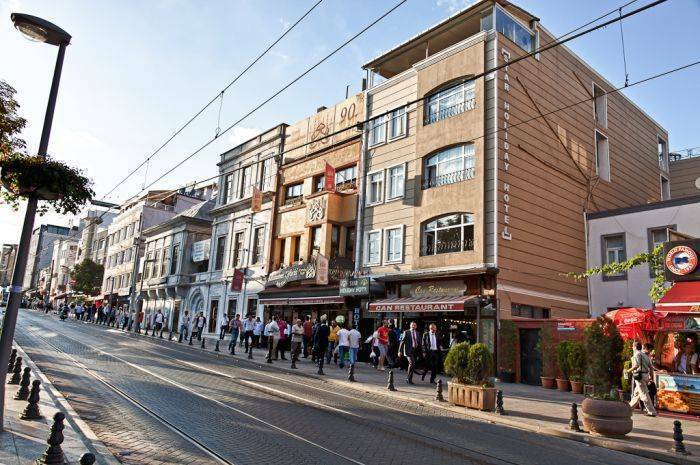 Situated in the centre of Sultanahmet, the hotel is also just a stone's throw from Topkapi Palace and the fabulous Basilica Cistern - with the Grand Bazaar being no more than 10' minutes stroll away. Offering very affordable room rates, the hotel really does provide value for money. 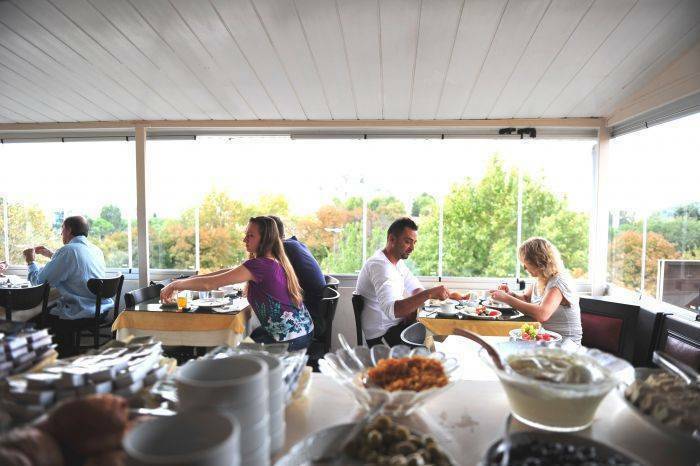 Not only is its situation one of the best in the area, the Star Holiday also offers guests simply decorated and clean accommodation, a roof-top breakfast room overlooking the Marmara Sea, and the chance to enjoy a refreshing drink in the hotel's 1st-floor bar. Rooms are all equipped with air-conditioning as standard and also include a direct-dial telephone, TV and refrigerator, hairdryers . 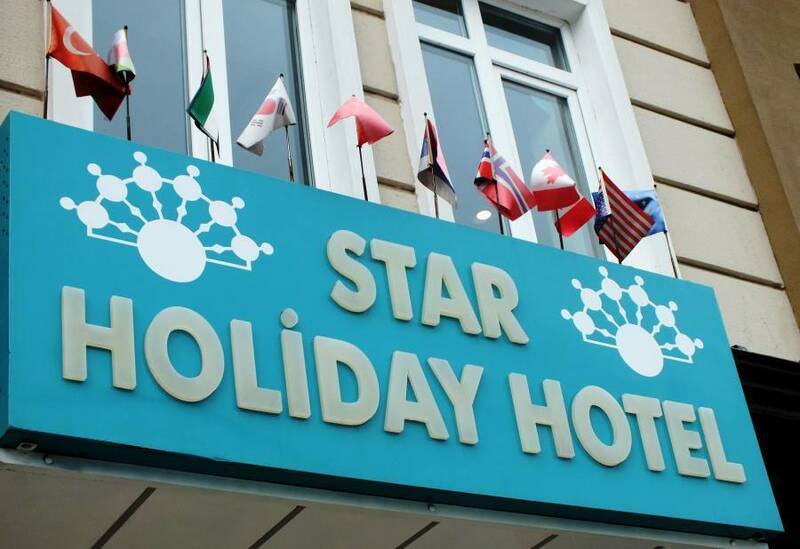 The Star Holiday Hotel allows guest to truly enjoy the very spirit of Istanbul without having to delve too deeply into their pockets! We have a total of 75 beds in 32 rooms. Every room is completed with : LCD tv, mini fridge, air-conditioning, telephone, heater, mini dressing table and socket outlets for any electric applicances that you may have (camera or mobile phone battery charger etc). Bed linen and towels are changed daily. Having a hot shower in any time of the day is not a problem at all as we have hot and cold water running 24 hours a day. Every room (except rooms with shared bathroom) is completed with mini fridge, air-conditioning, telephone, heater, mini dressing table and socket outlets for any electric applicances that you may have (camera or mobile phone battery charger etc). Bed linen and towels are changed daily. Having a hot shower in any time of the day is not a problem at all as we have hot and cold water running 24 hours a day. 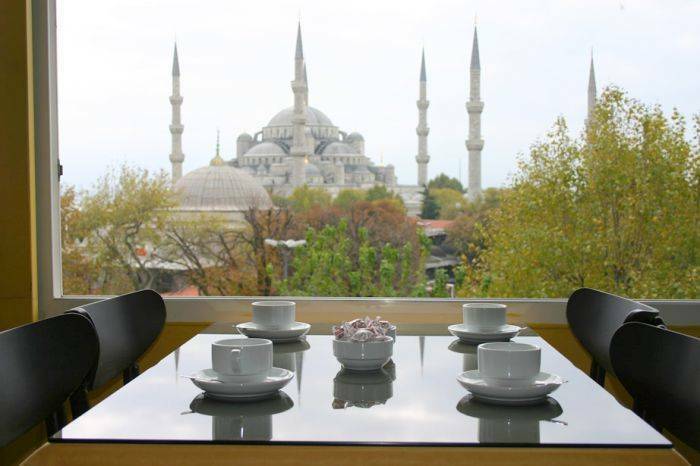 At the top floor,front view of Blue Mosque. Famous and historical meatball restaurant,next to hotel. The price includes VAT and service fee,The price includes bed & breakfast. Cancellation should be 48 hours before arrival. Otherwise, the guest will be charged one night for no show. From ataturk Airport to hotel, the transfer costs 20 Euro for 1 person, 25 Euro for 1-3 persons. From Sabiha Airport to hotel the transfer costs : 50 Euro for 1-4 persons. Please supply your flight details directly to hotel. 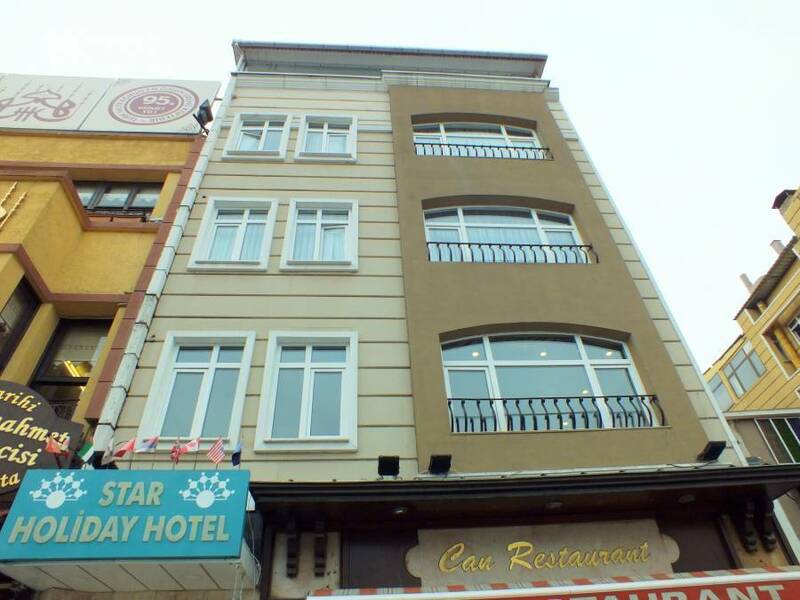 Nearest airport: Ataturk Airport - 15 km.